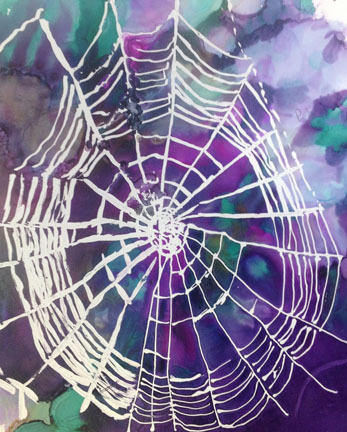 Masking Fluid Challenge – And The Winner Is …. 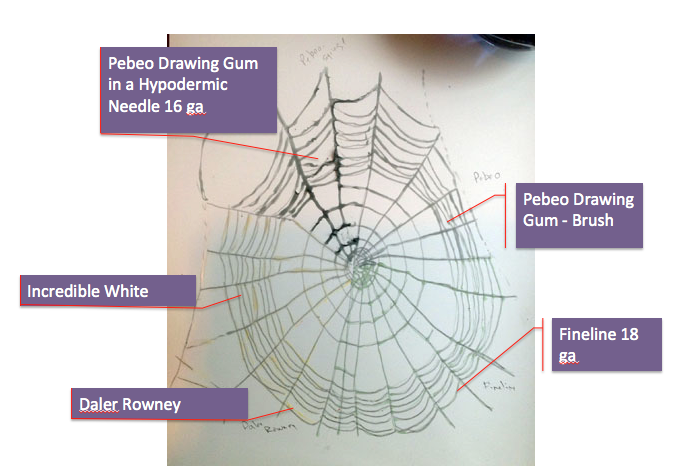 I found a neat spider web picture and traced it onto a 9 x 12 piece of Yupo. The size of the brush made a difference. Even though I used the same brush, and it was small, and the lines were still too thick. The hypodermic needle was a mess. The Fineline flow was consistent and very fine. The colorant was important to see what was masked and what wasn’t. 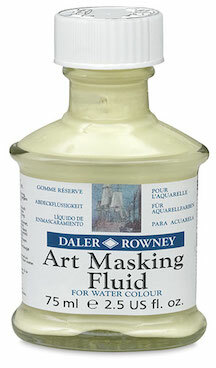 The clear winner for me was the Fineline Masking Fluid. The unique top has a pin it in to always keep the narrow tip clear. I have used a Masque pen in the past and really liked it until I needed to keep a beading pin in it to keep it from drying out. Now I can’t get the pin out. So thank you, Fineline. You come in both an 18 gauge and a 20 gauge tip. I’ve ordered a 20 gauge tip so it will be neat to see what that does. It’s in two parts: Applying the fluid and Paint and Reveal. 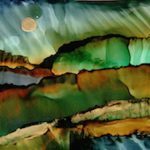 13 responses on "Masking Fluid Challenge - And The Winner Is ...."
I am totally enjoying your tips, tricks, and tutorials. Thank you so much for putting this formation together. Your tutorial on using an airbrush was so inspiring that I purchased the one you have. Now to learn to use it….got any suggestions? Got another question…….my moms maiden name is Williams…one brother (Marvin) lived in So Dakota, and another (Orville) in Kansas. Orville’s son Richard Williams is an original member of the rock band called “Kansas”…one of their famous songs is “Dust in the Wind”. I’m curious to know if we might be related? I’m so glad that you are enjoying the tutorials. As far as the compressor, practice putting one drop at a time on the paper. Then approach the drop from down low and move your arm up as you press down on the button (?) to let the air out. Watch how the speed of your arm movement and the amount of alcohol in the ink makes a difference in the little “fingers” that are created. 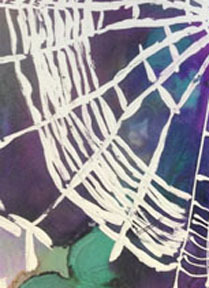 Keep adding drips, one at a time and blowing up and away from the drip point, the center of your flower bud. You can use really deep colors too. We’re probably not related, there are lots of Williams out there. My husband is from Williams in Ft. Worth Texas. I love “Dust in the Wind.” A classic. 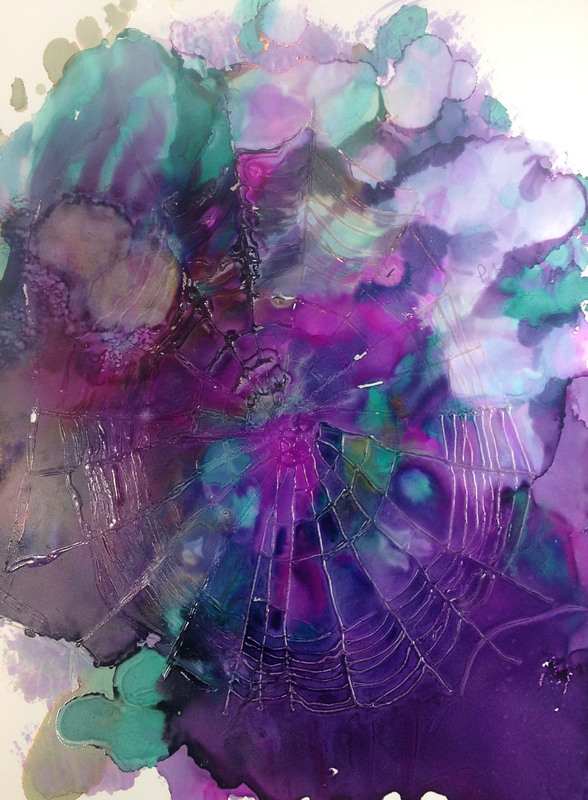 Sheryl, I have had problems with the masking fluid smearing when I have tried to remove it from a piece of Yupo – several times and after letting the ink dry for a long while. Do you ever have this problem? If so, what do you suggest? Thanks! Sue, I didn’t know that the purpose of the bottle was to clean out the fluid. I think you put it so well. The fluid itself dries up and gets solid. Keeping it fluid in the bottle is not usually an issue. Once it goes into one of these little tips it must stay cleaned out so you can use it again. So the next question is to mask or not to mask for fine lines? possibly using the dental applicators to remove the color? I ordered some and just received them, but have not tried them yet. They are like tiny qtips. I got mine from Amazon and they came in 4 sizes of 100 each in a box. That sounds like a good tool. Thanks, Sheryl. 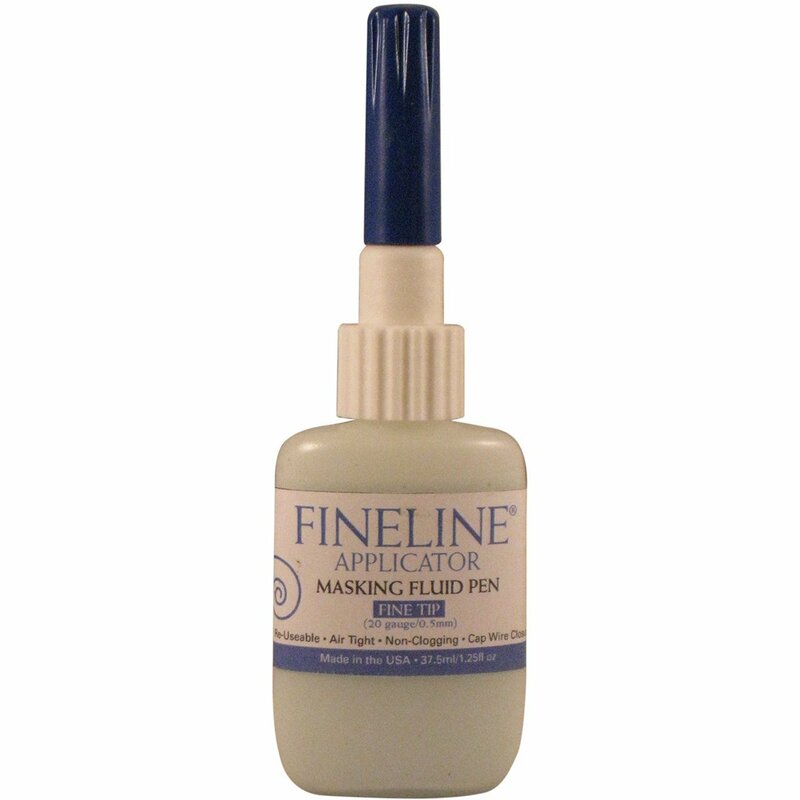 I used Fineline last year and loved it….until the neck and nozzle got so clogged I couldn’t clear it out..even after a couple tries, and 2-3 hours of work. Hope yours lasts longer ! 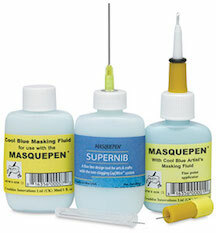 I had my Masque Pen clog up too. 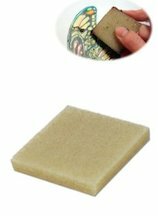 I soaked it in warm water – have to keep changing the water – to keep it warm or hot and eventually was able to pull out the dried up fluid with a beading needle. It’s the only thing thin enough to get in there. 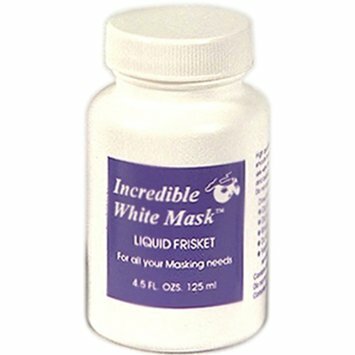 ALL masking fluids is that they dry up in the bottle or go bad (smell like ammonia), sometimes quicker than you think they will. The other two things you can use to get fine lines is the tip of a diamond shaped small palette knife or a ruling pen, which you can find in the drafting section or on Amazon. 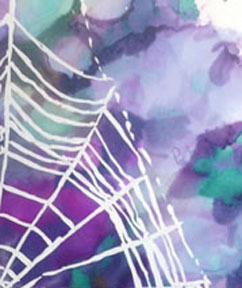 they are both metal so you don’t have to worry about the masking fluid ruining them. 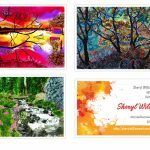 Wonderful post, Sheryl! Please post this to the FB Yupo page under Yupo tutorials! 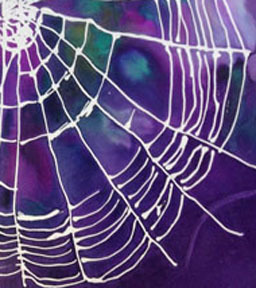 I am surprised that the W & N Art Masking Fluid was not used. It’s the brand I’ve used for many years. 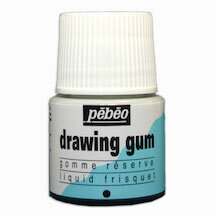 I’ve tried others – Most of the ones mentioned – except the Fineline (which I’m going to try) – I use it thinned slightly with water and apply with “The Incredible Nib” tool – I’ve had mine for 40 years and the USA company is still in business! Just ordered more nibs – the quality is there, but they changed the tip. It’s much more pointed now. This reminds me that I need to get my hubby to sand it down in his shop to match the original. It’s a very useful tool. I need to do a post on it. Thanks so much for this great in-depth post!! I’ve got some Winsor Newton around here somewhere and I do like it. I’ll get it posted to the tutorial page right away. Thanks, Sandy. I have not had much luck using the incredible nib, so a tutorial would be great.